Project Owners, let’s sit and talk for a bit about an issue I’ve become intimately sensitive to over the last few weeks. If you’ve been following Kicktraq at all you know I’m a huge proponent of engaging, empowering, and staying connected with your backers. However, this engagement doesn’t end once your project is over. Backer communication isn’t just a tool to reach your goal, it’s an essential part of perpetuating the perception of your product and your brand, especially if you want to be successful in the future, even independent of Kickstarter. I could talk more about the overall engagement process, but this article is focused on your engagement with your backers after your project ends, particularly around fulfillment. So, as any Kickstarter participant knows even after backing their first campaign, many Kickstarter projects don’t deliver on time. It’s a given, and most of us in the backer community can accept this as long as the project owner continues to communicate throughout the process, is honest, and keeps us up-to-date. However, as someone who’s recently moved, knew I was moving months in advance but not to where, and who travels quite a bit on top of that – my absolute biggest frustration with Kickstarter projects is with project owners not warning me as a backer that things are going to ship until after the fact and/or being non-responsive when I’m trying to make address updates. As a backer of over 150 projects, I’ve done my best due-diligence knowing delays were going to happen and that shipping was going to be a concern by nabbing a PO BOX and redirecting projects delivering after a certain date to that PO BOX because I had no idea what my new address was going to be. However, some projects were delayed significantly from their original shipping dates and I either didn’t catch them all and they shipped with no warning, they shipped to the wrong address even after confirming a change, or the project owner hasn’t been responsive in acknowledging an address change or expected shipping method at all. This isn’t just one project. I’ve had this experience with almost a dozen projects over the last two months, and that’s a really big problem for me as a backer. I know better than most that Kickstarter makes it a huge pain in the rear for backers to go back and figure out which projects have what addresses. This is something I feel they could do a better job of from a platform perspective knowing delays are common, if not inevitable. If Kickstarter provided a split survey or decoupled the shipping address from the survey and the project could download an updated shipping list at the point of shipping, I feel that might work better. Some project owners have gone so far as to develop their own “pledge managers” to help mitigate the problem. Kickstarter has gotten better about providing a way for backers to see the survey for each funded project by going back to the project and clicking the “your response” link. But the way the survey system currently works, with project owners having only one shot at getting all bits of information, it creates havoc for those of us who back lots of projects and happen to move or need an alternate address for the week we’ll be attending a conference, which is inevitably when everything seems to ship. Needless to say it’s been rather frustrating. How can I be a better project owner? First and foremost, you have to accept a certain level of frustration is coming because fulfillment will probably be the hardest part of your process, even more than the actual campaign itself. Regardless, and you’ve heard me say it over and over, stay engaged with those backers. We want to know, we want to understand, & we want to help. We, as backers, want to be a part of the process – both its successes and its challenges. That’s why we gave you our shekels in the first place. Let us know what’s going on, and if there are ways we can help (like updating our shipping addresses before you ship packages), help us do that for you and for us. Also, for some reason, there will always be backers who will not respond to surveys, emails, phone calls, carrier pigeons, smoke signals – they won’t respond to you at all and it’s going to drive you bonkers. I have no idea why this happens, but it happens with nearly every project according to project owners I’ve worked with, and there’s not much you can do about it. You’ll use every means to contact them and they’ll never respond. Who knows why? Just be mentally prepared and don’t assume the rest of us want to disengage. WHO: You should have already researched fulfillment way before you even launched your project. If the whole process of fulfillment seems overwhelming, find a competent company to do it for you and find out who backers can contact in the event that there is an issue, and if that person is you or them directly. However, don’t be intimidated to DIY your fulfillment. If you’re fulfilling it yourself, you may be surprised that shipping companies can be pretty easy to work with if you’ve done your research on box sizes, weights, possible volumes, and time frames. Places like USPS even send people to you to talk to you about these professional services. It may be a lot of work, but it could save you quite a bit in the long run. WHEN: Give your backers some advanced warning that fulfillment is coming near the time when it’s actually coming. Give backers that opportunity to have the “oh crap” moment where they realize the address they submitted might be wrong, possibly explain how to check their address in their survey, provide an avenue for them to change it, and give a cut-off date (with a couple day buffer) for your own sanity. Just keep in mind the change process is painful for you and your backers, so have a little patience with them and they’ll be patient with you. HOW: Tell backers which service(s) you are using to send their packages & be educated on your shipping methods. If I give you a PO BOX and you’re sending FedEx, you’re going to have an issue and despite all the research you’ve done, you might not know it until the box is already out the door. Your backers may already know these conflicts from experience so don’t discount their help by hiding who you’re shipping with and you can avoid those headaches in advance. Also, it may be worthwhile to pay a little extra for tracking. You don’t have to share that with all the backers as that brings its own set of frustrations, but if something DOES happen, you have a method to at least find out what is going on and where something may be (and be able to address packages that backers say they didn’t get). Also, when you send using a service like USPS and FedEx, if an address issue comes up AFTER it’s sent, you can provide the tracking data to a backer and have them redirect the package to the correct address all on their own. How can I be a better backer? The best thing you can do as a backer is to plan accordingly and have reasonable expectations. Your projects will be delayed, if there is even a possibility that you are moving, find a tertiary location to redirect packages to. 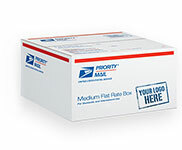 It doesn’t have to be a PO BOX like I used, but possibly a friend or family member wouldn’t mind being your temporary drop point for your rewards. Also, if the project owner is doing their best to manage the shipping process, give them a little slack and be a little patient. Packages take time, and shipping is terrible. Things get damaged, delayed, or never show up at all and sometimes nobody knows why. Most project owners want to help you and it’s not their fault if the shipping company drop-kicked your fragile box of arduino shields or put your new board game on your porch in the rain in a puddle. So again, my dear project owners, as a backer I’ll help you if you’ll help me. Just let me know. That’s all we as backers ask! Now, to go figure out where one of my packages may be… (I wish I were kidding). ← Previous Features! Features Everywhere!